The Colina Four; The ultimate all-rounder. 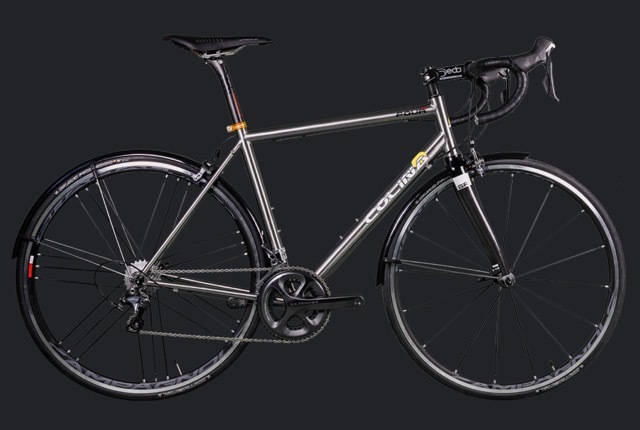 Named ‘Four’ after its excellent capabilities in all four seasons, it’s a winter trainer, light tourer, and the ultimate sportive bike. 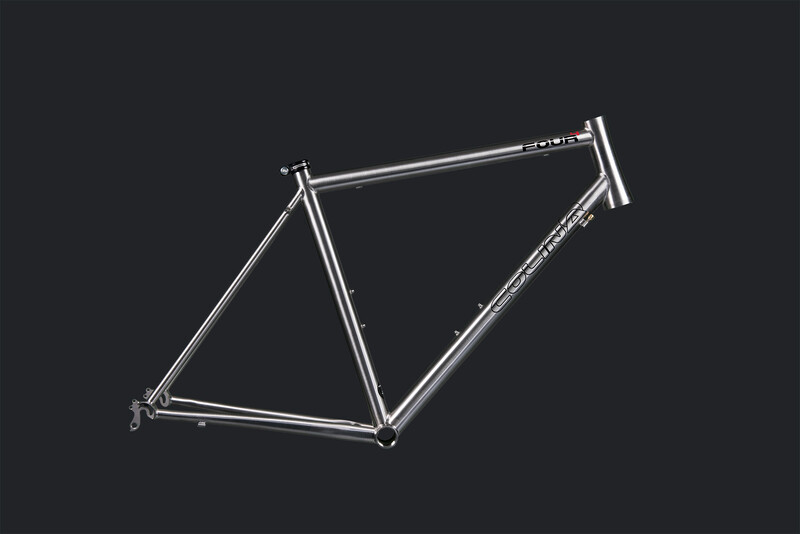 With geometry based on the Abanicos, the Four offers a precision ride with the convenience of rack and mudguard fittings with the clearances to match. 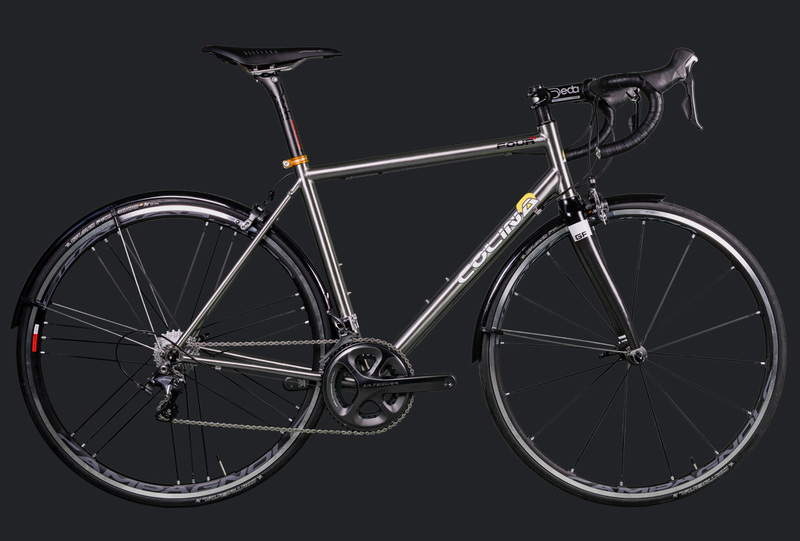 The Four is optimized to run standard drop brakes and can run up to 25mm tyres with full mudguards. Read Cycling Actives review of the Four – here The Four is available in hand brushed finish with a choice of decal colour options. 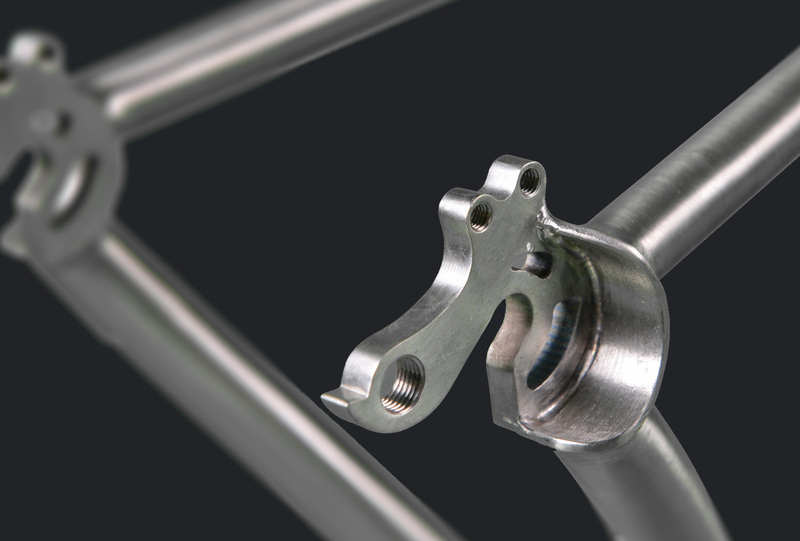 Frame includes headset, Hope seat clamp, and all cable guides/ adjusters NOTE. When ordering please specify your choice of seat clamp colour and decal colour in order notes. Orders left blank will be supplied with black seat clamp and white decals.